The time is running along the youth, most of Internet user wants a own website but the problem starts with skills and budgets. Here the solution. Read the article to own a website for zero skills with zero budgets. Many of peoples search for Can I get a domain for free The answer is Yes but you know free things are not stable. After reading this story you have knowledge about free domain name registration only as well as a website with your custom domain without paying money for it. Don't worry about the skills and need of coding,Here the post and solutions for All. You can Register from freenom. 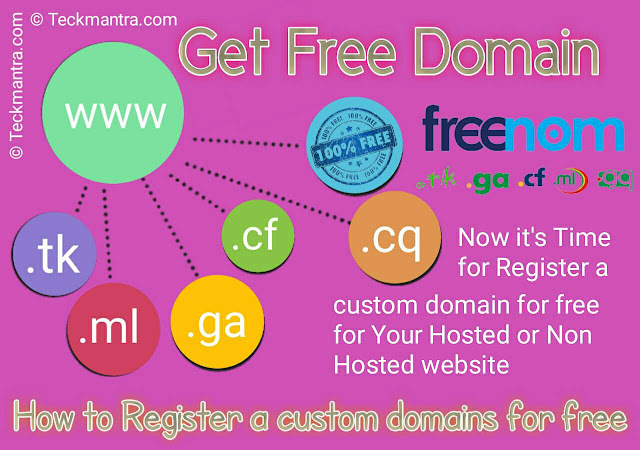 Step : 1 To register a domain for free (only for 1 Year) visit the official website of Freenom from here or by searching in your browser. Step : 2 Type Your domain name and Click on Check Availability. Here For Example I'm going to register Teckmantra.tk for free. Step : 3 Select Your Domain and Click Get it Now, the domain is selected now Click on Checkout. Tip : You can Select and register multiple domain to prevent the same website name holding by other. Select the Time of owned. Here you can register and use domain from one month to twelve months for free. 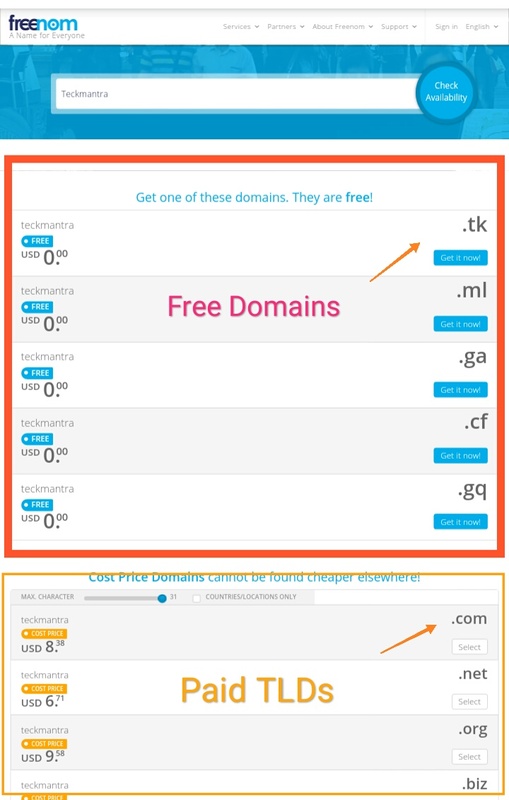 After 1 Years it may there Apply some charge (Approximate $10 for an Year) during the time selection you can see the pricing of domains. Step : 4 Type Your Email inside the box. Make sure the Email is correct, Here an Email verification is required. Check Your email and by clicking on verification link Verify the account. 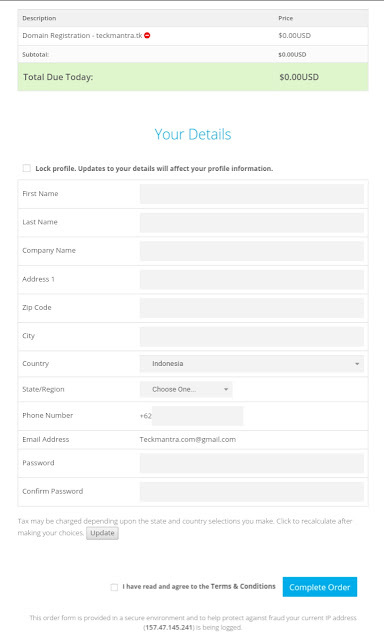 You can also Sign-In by social Networks such as facebook and direct by Gmail account. Here I'm going through Email. 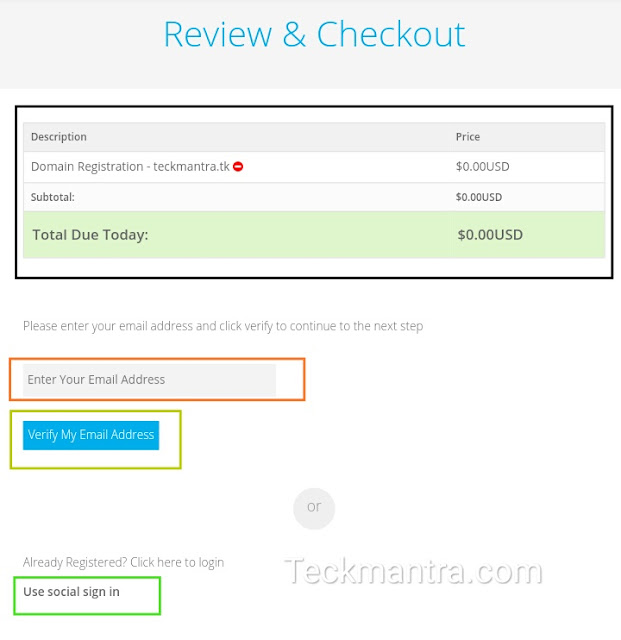 Step : 5 Fill all details inside the Form, Check on Agree with terms and Click on Complete order. Go for Log-in by your Registered Email and password. From the service tab You can see all domains details, you can point your free domain on any hosted or non Hosted hosting or website. You Can Check and Manage Domain from MY domains tab. That's All Now you have a domain use it, on website, Blogger blog, wordpress website and any Hosted or Non Hosted website and Server address. 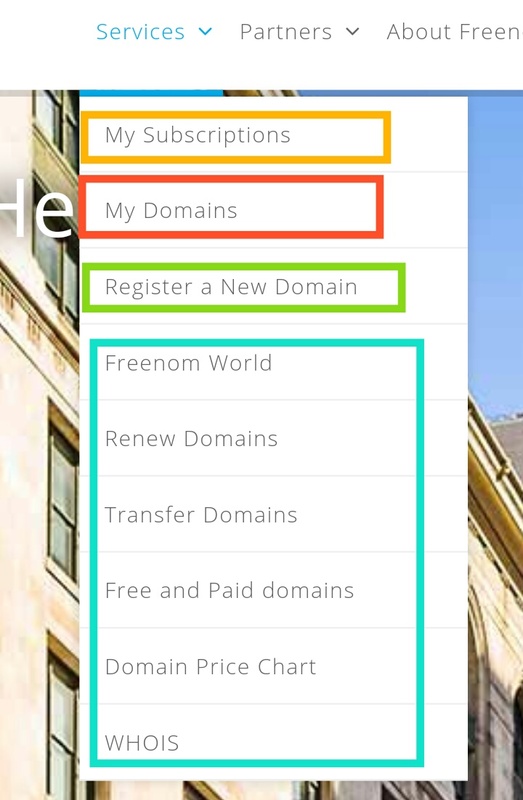 How to Add your freenom domains on blogger blog website. The both service are free for 1 Year. Make a wonderful website using freenom web portal. Read All related articles on Teckmantra. On freenom you can Easily register and get a free custom domain for using on any where. Here the shortest method how to register a free domain for your hosted or non Hosted website.